Hi, I am George Meyer, long time writer for the Simpsons and this is my daughter Poppy. 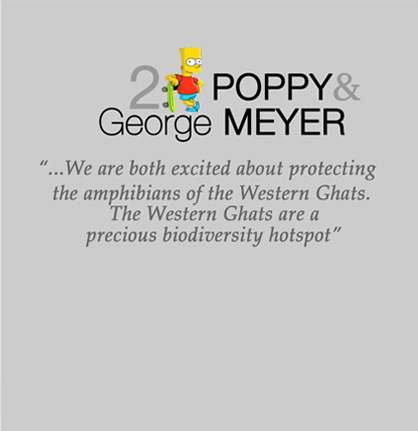 We are both excited about protecting the amphibians of the Western Ghats. The Western Ghats are a precious biodiversity hotspot. So lets not lose this valuable habitat or it would be a big doooo.